It can't be true but it is. My little boy is growing fast and how he turned 5 years old so quickly is beyond me. 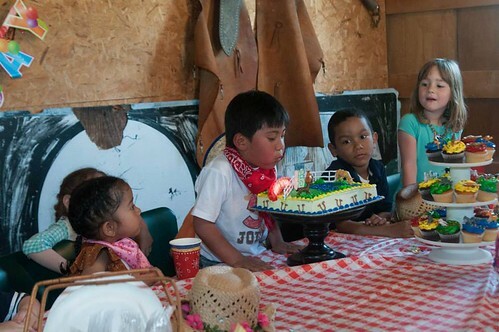 Joel turned 5 years old earlier this month and we celebrated with family and friends this past weekend. 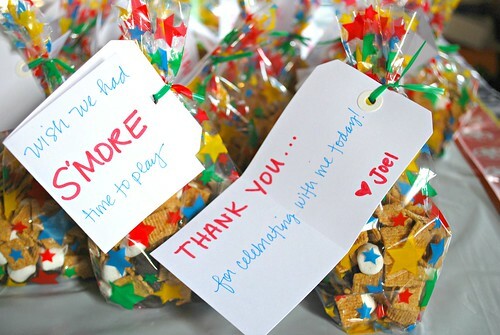 The party served a dual purpose, in that it was Joel's opportunity to say thank you to his teachers and classmates he's grown with over the past year as he had his last day at preschool last Friday. 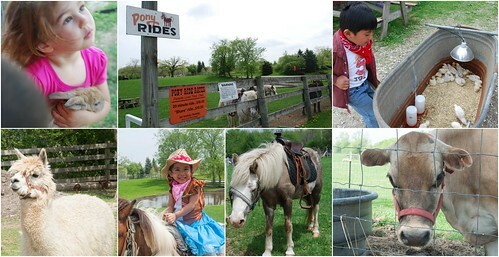 Overall, it was quite a fun event, not just for the kids but for adults too! 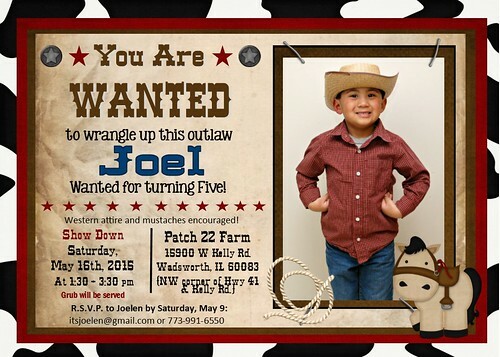 When I asked Joel what kind of birthday party he wanted this year, he said that he wanted to have a cowboy party. 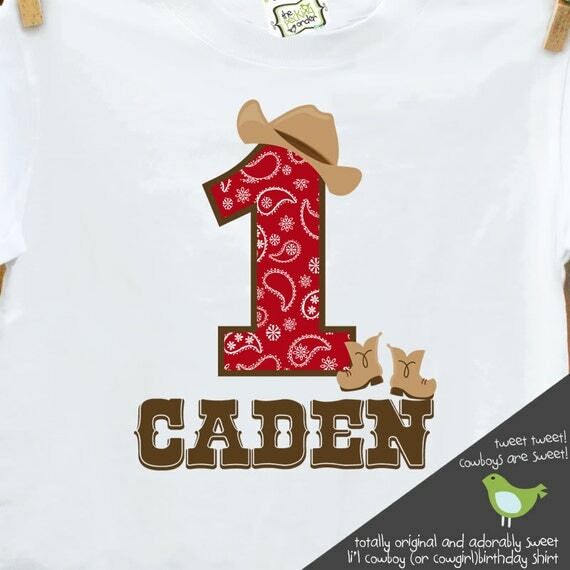 This mom wasn't going to argue, so a cowboy party it is! But how to do I even begin to plan one lol? First, I wanted to find the perfect venue. I'm a big advocate for having a birthday party elsewhere and not at home. Part of the reason is because I want Joel and his party guests to have an memorable experience without having to clean our house more than I need to! 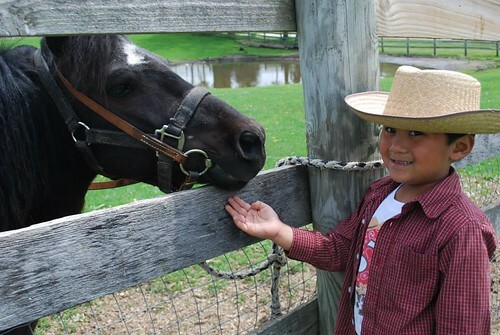 That said, I figured cowboys would be in their natural state on a farm. 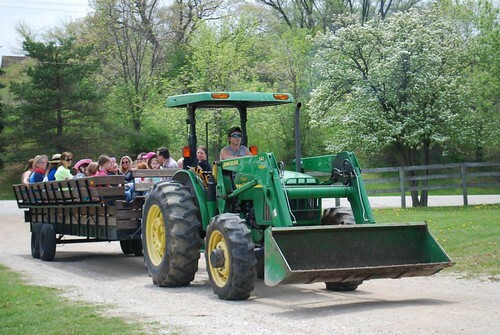 Luckily, there is a nearby farm that's available for birthday party rentals... score! 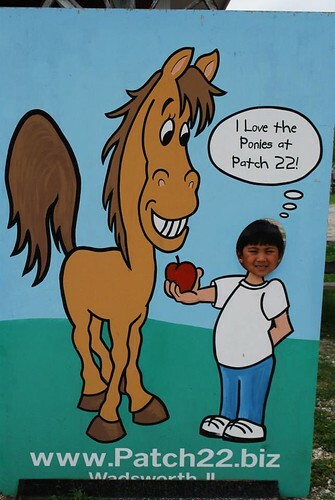 We booked Patch 22 for a 2 hour party and it was an amazing time. 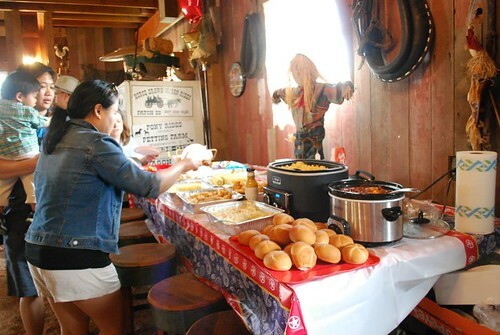 The party included a decorated barn space with tables and chairs, petting zoo, ponies to ride and a hayride for our guests. I found these cute invitations via Etsy store, Doodles, Dots & Dimples. With a very quick turnaround time, I was able to have these printed at our local Walgreens. 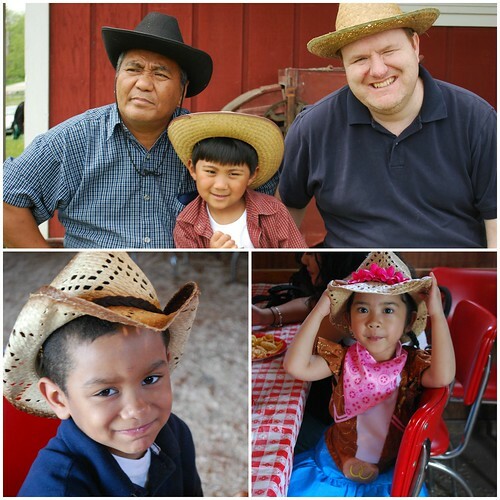 Joel really got into the whole cowboy theme and they came out great! 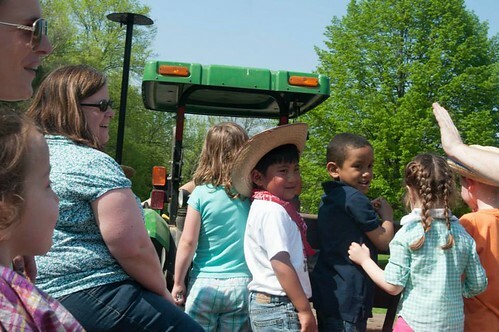 As folks arrived, we had them get down on the farm by checking out the farm animals at the petting zoo and enjoying the ponie rides. They were having so much fun! Now you'd think gathering folks up would be hard to do, considering how spread out everyone is with the various spots for kids to explore. 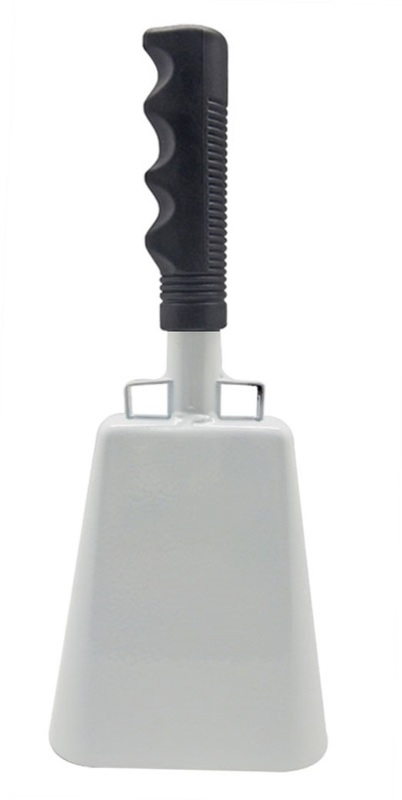 That's when my little cowbell came in handy! 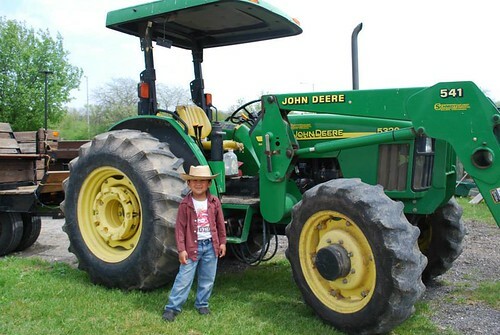 This thing worked like a charm and once Joel or I rang it, folks came into the barn. I may have to continue using it whenever I'm out in large spaces to gather up people lol. 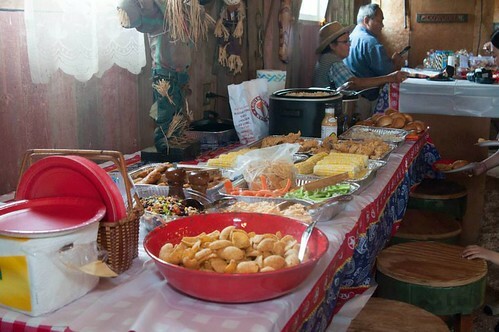 Once folks got into the party barn, it was time to eat! 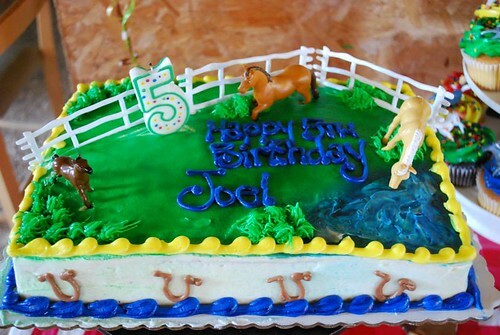 With the menu set, the next thing Joel wanted was a cake that captured the theme. I was working late hours the weeks leading up to his birthday party so I failed to really plan the cake in advance. As a result, I ended up going to a local grocery store and found a cake design that best fit his theme. Actually, it was probably the ONLY cake design that could work. So I went with it. We got a small cake and some cupcakes for the party. Thankfully Joel loved it (phew!) and I was really happy everyone enjoyed the cake and decor used for it. 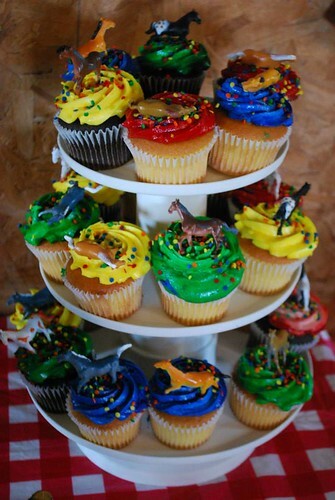 I was sure the kids would reach for the cupcakes... but I was so wrong! Most, if not all the kids a piece of cake to eat with a fork. It worked out great as the adults happily devoured the cupcakes without dealing with utensils. 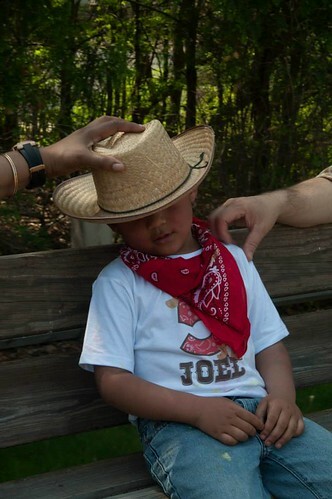 As we said our farewells to our family and friends, it wasn't long before my lil cowboy tipped his hat and took a nap lol. 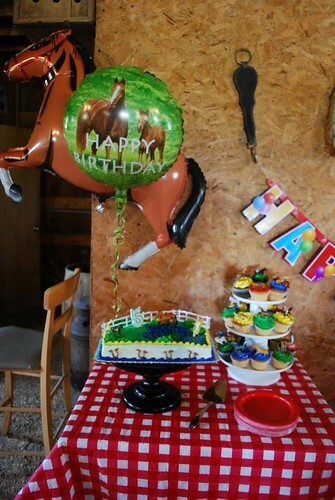 This birthday theme was so much fun and I can't wait to see what Joel will choose for his birthday next year!